These zebra animal print sandals can add the right exotic edge to any look, from your favorite jeans to a little black dress. 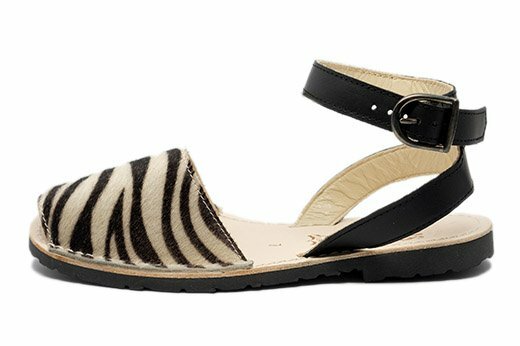 Handmade on the Spanish island of Menorca, our Classic Strap Pons in Zebra are crafted with high quality leather, featuring a short fur texture on the toe, and have a comfortable rubber sole with an adjustable ankle strap. These stylish Pons are sure to keep you looking chic as your wildlife inspired sandals effortlessly transition to the city life.